Indiana may have rose to fame for its Indianapolis 500 car race, but there is so much more to discover in this Midwestern state. From natural beauty, history and architecture to culture, shopping and fine dining, it is easy to see why Indiana has been experiencing a rapid increase in its visitor numbers year after year. For those looking for the excitement of a big city, Indianapolis is the place to go. 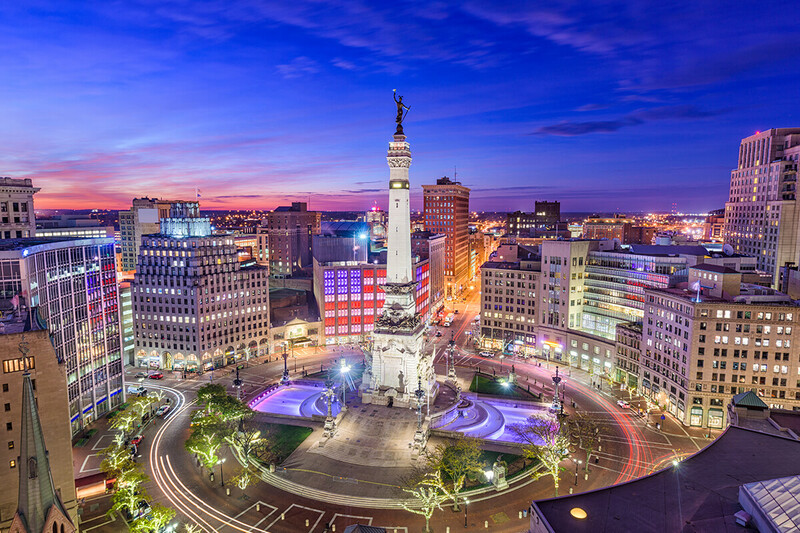 The capital of the state, as well as its largest and most populous city, Indianapolis was revitalized in the 1990’s, turning it into such a vibrant and energetic city. There is plenty of culture to soak up here, from the symphony orchestra and the opera to museums and galleries, as well as the eight mile Indianapolis Cultural Trail. As modern as the city may be, it still boasts its intrinsic Midwestern charm and has such a unique character. Speaking of Midwestern charm, while you may still find this in Indianapolis, the small towns of rural Indiana offer this up in unparalleled amounts. The north east of the state is here you will find the third-largest Amish population in the country. This began in the mid-19th century, and their simpler ways of living still continue on today. There is a heritage trail that will take you through these historic small towns and villages, showcasing architecture, flea markets, antique stores, and other snippets of the past. If you want even more antiques, head to Richmond County’s 60-mile Antique Alley. There are over a thousand antique stores and dealers to be found here, with Cambridge City being the hub of all the antique activity. There is no shortage of natural beauty in Indiana, and this is something else that tends to draw a crowd. The protected Indiana Dunes National Lakeshore is a must-visit. Although this natural area is located in the heart of an industrial belt, its 15 miles of sandy beaches instantly transport you to a quieter and more tranquil world. For more outdoor adventure, make sure that you spend some time in one of Indiana’s state parks. There are 24 to choose from, with the largest being Brown County State Park at 15,776 acres. Whether you want to hike, bike, fish, or simply relax and surround yourself with nature, this is the place to do it at. If you plan your Indiana trip for August, your visit may coincide with the Indiana State Fair, which takes place over two weeks. This expansive agricultural show becomes the talk of the town for months, with its live concerts, animal shows and other activities providing plenty to keep people busy. Another festival worth making time for is the Covered Bridge Festival, which lasts for ten days, beginning on the second Friday in October. Pretty much all of the towns in Parke County get involved in the festival, offering up a variety of traditional food, local vendors and free entertainment for everyone to enjoy. While there is so much to keep you busy in Indiana, don’t forget to take some time out for your skin too. We have a beautiful Lavelier store located at the luxurious University Park Mall in Mishawaka, where you will find expert skin care advice, product demonstrations, and so much more. There are more than 120 specialty stores in this super-regional mall.